Correction: An earlier version of this story wrongly reported that Reckon had reduced its support staff. 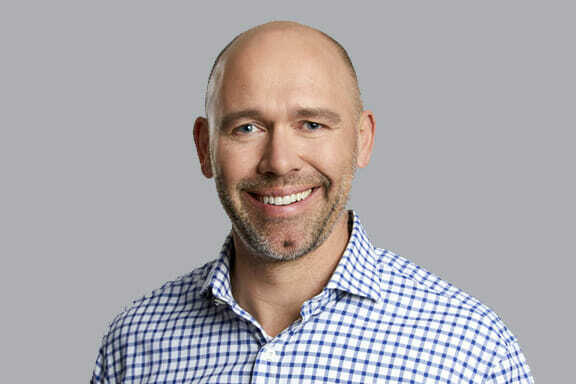 There was no detectable trace of disappointment in MYOB CEO Tim Reed just four hours after announcing the deal to buy Reckon APS was off. A very upbeat Reed talked about spending the acquisition funds on speeding up delivery of its next-generation cloud practice software instead, and laughed off conspiracy theories about sabotaging his main competitor. In short, he sounded as happy as a man who missed a flight that had crashed in the Southern Ocean. The formal answer for declining the deal was that the offer had a six-month expiry and could be renegotiated or terminated if conditions weren’t met. One of these was regulatory approval. The deal was announced on November 16, so the deadline would have been May 16. Reading between the lines, in the fortnight since the contract elapsed MYOB apparently offered a lower amount which Reckon rejected. Here’s the direct blurb from MYOB’s press release yesterday; I’ve bolded the relevant bits. “The regulatory process has taken considerably longer than the parties anticipated and could continue for some time. The sale and purchase agreement had a six month duration within which the conditions precedent to completion had to be satisfied (including the regulatory conditions) failing which either Reckon or MYOB could terminate the contract. The value of Reckon APS had materially changed in those six months. Reckon lost at least one key customer – H&R Block switched its 470 offices from Reckon Elite to Sage Handisoft. Anecdotally, at least three firms had switched from APS to MYOB which would have cost Reckon several hundred thousand dollars in recurring revenue. The announcement by APS that it had no plans to produce a cloud version of APS has caused a number of firms to start evaluating replacements. What happens next for APS is an interesting question. Reckon will need to divert funds into R&D just to service existing clients. Single Touch Payroll and other ATO initiatives are forcing software vendors into costly upgrades of their software. Perhaps Sage, Wolters Kluwer or Thomson Reuters would be tempted to pick up APS – at a much reduced price? Either way, Tim Reed is one guy who definitely won’t be at that table. See below for our interview. Digital First: What was behind the decision to ditch the APS deal? Tim Reed: Back in November when we announced the acquisition there were a few components. We believed the deal would be able to be done (i.e. get approval from the Australian Competition and Consumer Commission). The deal increased the base of accountants we would be serving which would enable us to make a more economic case to accelerate the delivery of our platform to market. The contract gave six months for the condition precedents to take effect. One was regulatory blessing. We expected that to come through and it hasn’t. Digital First: Were there any other conditions that weren’t met? Reed: I believe the answer is no. But I will need to confirm that with our lawyers. Digital First: What changed over the past six months for MYOB? Reed: A number of things have changed in that time. We have seen a phenomenal uptake in all the online components of the platform that we have released for our partners. The use of the online tax forms, MYOB Ledger, Dashboard and Adviser. We ‘ve seen a great usage and more referrals of small business onto our products. When we have gone out with the survey “Why do you recommend our products?”, the Connected Practice vision is one of the top three reasons for why accountants recommend our products. So our vision is having cut-through and as we deliver the tools our customers have more confidence in ius. We also learned some things about our competitors. Reckon announced that it would be unable to make the investment to rebuild its software online. Xero also came out and shared statements publicly in the press that it wasn’t building tools for medium and large practices. We also learned that the competition regulator was taking a different view of how to assess competition in the market than we were. We continued to have good dialogue with regulators but our view, sitting back after six months, was that we were less confident that we would get regulatory approval than we were in the start and the time period would be longer still. That would increase the cost factor and the distraction to both businesses. And while (the deal) is out there we believe it will risk impacting the financial performance of the businesses. When we signed the deal for six months, if there was any slowdown in Reckon’s business our shareholders bore the cost of that as we had already agreed the price. Becoming more bullish on the organic (growth case) meant being able to increase investment. And also the costs and risks with the investment case was less attractive. It got to a tipping point where the interests of clients and of shareholders was to make the investment in sales, relationships and product. Digital First: What slowdown was there in Reckon’s business? Reed: I’m under a confidentiality agreement for any information that I saw as part of the acquisition process. It would be illegal for me to comment on anything specific. Digital First: Did the loss of H&R Block affect the deal? Reed: I’m sorry, I can’t comment on the performance of Reckon’s business. Digital First: Did the sale to KPMG of Accountants Enterprise play a factor? Reed: Not at all. That deal was done before we announced the APS acquisition. The Big Four are already using our products. Digital First: How have sales of MYOB’s practice software been for the six months since the deal was announced compared to the six months immediately previous? I’ve heard that Reckon APS was “hemorrhaging” firms. Reed: I can’t confirm or deny given that it is market sensitive information that we haven’t released to the whole market. Digital First: I read a tweet that said: “Very smart corporate move by @myob pulling out of the Reckon APS deal. How to disable a competitor without spending the $$$ on buying them.” What are your thoughts? Reed: (Laughs) I understand the inference and question but it would be a highly risky strategy and well beyond our level of sophistication to orchestrate. We were legally committed for the entire period to complete had the legal precedent been met. We put all our best endeavours to get that met, including hiring the best competition lawyers. We entered the acquisition in a very good faith manner to get it completed. I was scratching my head from day one, as to why MYOB was interested in Reckon. I say, let them whither on the vine and welcome their customers with open arms.